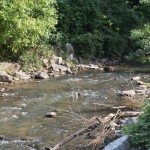 There are plans to connect these two trails to the Confluence Trail, Morningside Nature Preserve, Zonolite, and the forthcoming GA-400 trail. 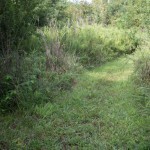 History and historical markers: The Cheshire Farm Trail is named after Hezekiah Cheshire, a War of 1812 captain who had a large farm in this area in the 1840s, and whose home was near the northern trailhead. 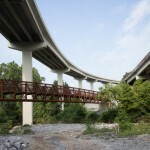 That trail was built by the Georgia Department of Transportation as a concession to the neighborhood in exchange for the construction of I-85 & GA-400 flyover ramps.